Like the curate’s egg in the 1895 Punch cartoon, the March 16th/17th GROSVENOR auction was ‘excellent in parts’. This large auction contained offerings from no fewer than 218 vendors and results varied noticeably from country to country, the sale producing nevertheless a creditable total realisation of £648,085. Amongst a most unusual offering of New Zealand wills and probate documents bearing ranges of Stamp Duty and Arms high values, the highest price achieved was the £1,666 paid for the wonderful 1925 will of Dorothea Ziele (lot 1457, detail left) displaying values to £17,359, an extraordinary denomination, probably unique. 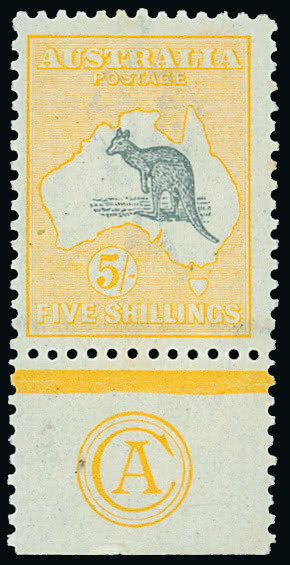 Other notable realisations included the Australia 1915-27 5s. 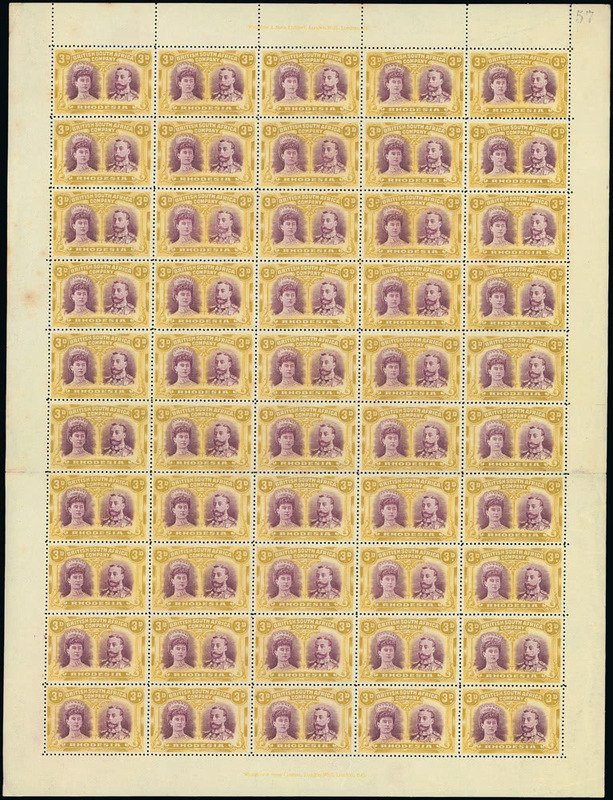 grey and yellow marginal mint example with “CA” monogram (lot 318), one of just six known examples, which reached £3,451, the Negri Sembilan 1898-1900 4c. on 8c. 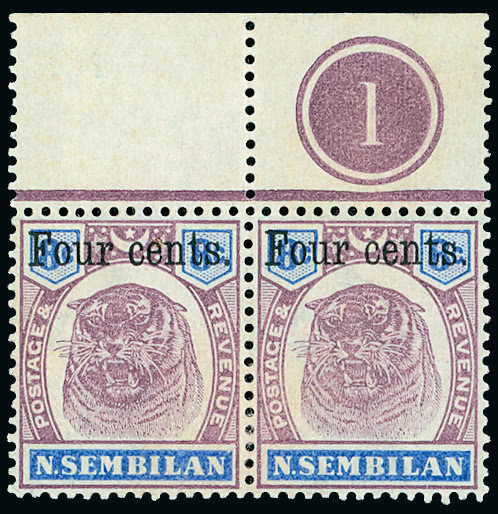 dull purple and ultramarine with black surcharge in a mint upper marginal pair showing plate number (lot 1303) climbed to £2,702, the same price being paid for an unused example of the Sungei Ujong 1878 handstamped 2c. 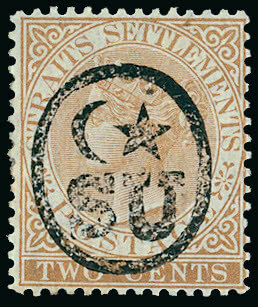 brown (lot 1291). 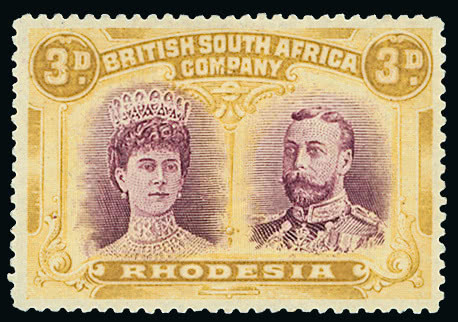 There was a strong response also to a specialised study of the attractive Rhodesia 1910-13 ‘Double Head’ 3d. 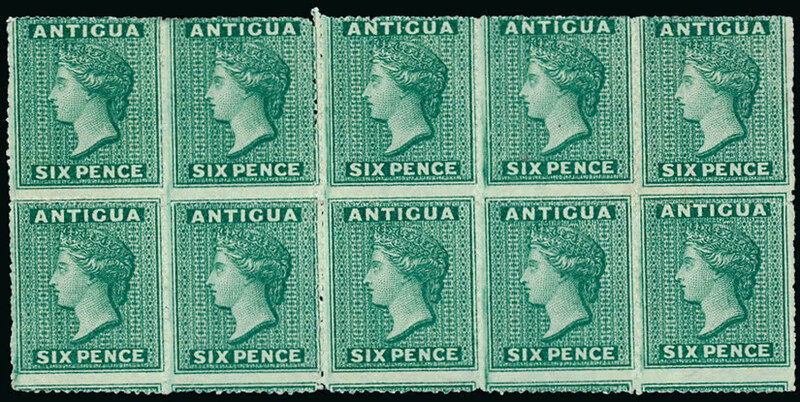 stamp with £4,760 paid for a mint example of the perf. 15 deep rose-lilac and ochre shade (lot 1632) and £5,355 for a rare complete sheet of the maroon and ochre, perf. 14, one stamp showing the ‘hook in Queen’s ear’ variety (lot 1621).